•	What best we can do for others? 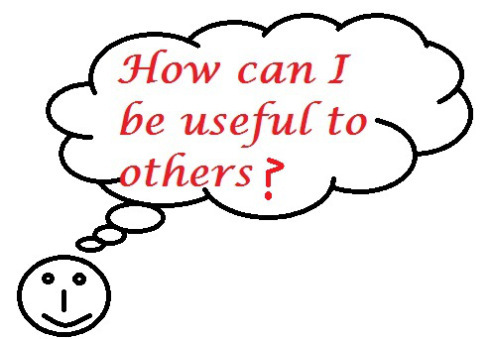 •	How can I be useful to others? In each one of the scenarios, we come from a different space altogether. In first scenario we come from the space of lack and in the second scenario we come from the space of abundance. When we come from the space of lack we always feel that something or the other is missing from our lives. This way of thinking and living creates unhappiness and dissatisfaction in our lives. When we come from the space of abundance which each one of us is already into ,we feel no dearth of anything in our lives. We feel we are the source of abundance of everything .This thought creates happiness and bliss in our lives. We don’t feel lack of anything instead we feel the source of many things. An act of goodness attracts goodness in our own lives. We need to be grateful in our lives for all good things we have. It is written in bible ,” Whoever has will be given more ,and he will have in abundance. 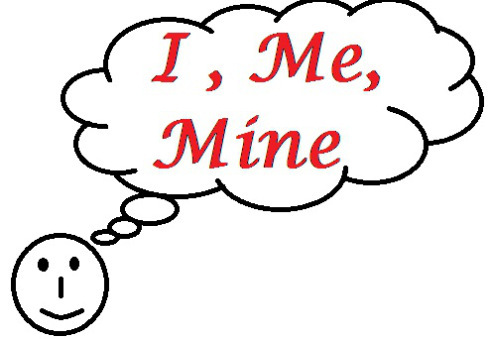 Whoever does not have , even what he has will be taken from him”. “Whoever has will be given more “simply means he who feels he has enough and is grateful for whatever he has, will attract more GOOD THINGS in his life . “Whoever does not have , even what he has will be taken from him” means that one who always feels lack and is not grateful for what he has will loose even whatever he has.The more lack feel one feels , the more LACK he will attract. So, it depends upon us how we want to feel and what we want to attract in our lives. It is our choice we want to see the Glass as HALF EMPTY or HALF FULL. 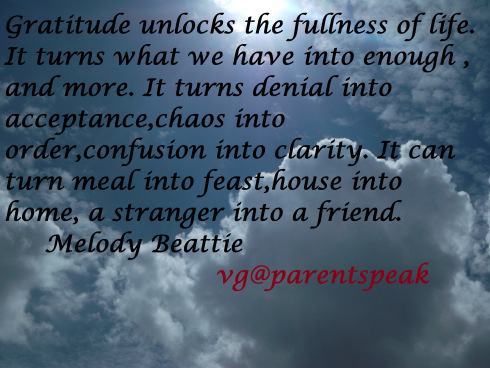 Note: As parents we can teach our children gratitude and abundance. Let them feel that they have enough with them to serve others .